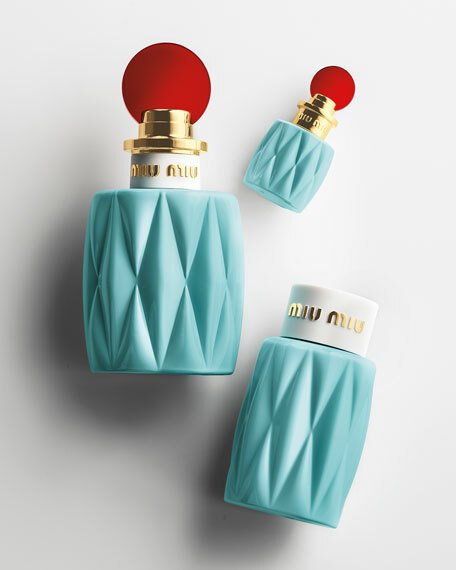 Stylish femininity, youthful seduction & unconventional sophistication. 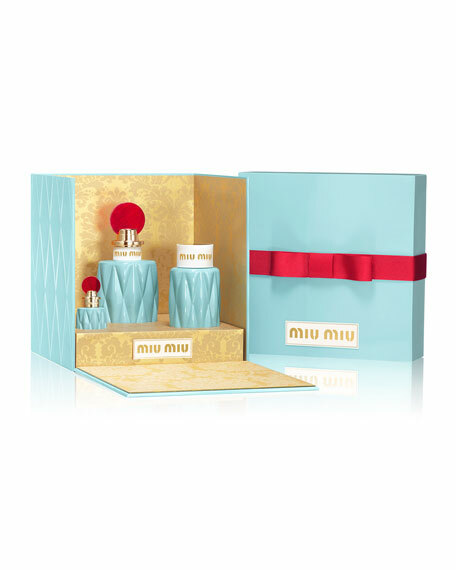 This gift set includes a 3.4 oz Miu Miu Eau de Parfum Spray, a 3.4 oz Body Lotion, and a Deluxe Miniature Eau de Parfum. A $164 value, yours for $133. For in-store inquiries, use sku #1941548.